Approximately 46,000 households in San Diego are on a waiting list to obtain a federal Housing Choice Voucher (Section 8). The average wait time to obtain a housing voucher is 8 to 10 years. Nobody’s housing needs remain constant over a period of time that long. Many people on the waiting list will have died before they are called for their Section 8 rental assistance voucher. Cruel irony. The Federal Government not funding a program that actually helps poor people? What else is new? There’s plenty of money though for Lockheed Martin, Northrup Grumman, and Boeing. There’s plenty of money to support 1000 military bases in practically every country in the world. And to give Exxon Mobil and GE a tax refund. And there’s plenty of money to let rich people and corporations declare profits in tax-free jurisdictions even though they’re living and doing business in the good ole US. The San Diego Housing Commission (SDHC) owns more than 2,000 apartments throughout San Diego that are available at affordable rents to low- and moderate-income residents. Qualified families whose annual household earnings are no greater than 80 percent of the Area Median Income (AMI) can rent a two- or three-bedroom apartment from us at below-market rates. For instance, a family of two with a household income no greater than $50,500 per year would qualify based on the 2014 AMI. The Area Median Income for San Diego County is determined annually by the U.S. Department of Housing and Urban Development. Low-income seniors and disabled persons can rent a one-bedroom apartment if their income is no greater than 50 percent of the Area Median Income. According to KPBS, the Housing Authority (that’s SDHC) renovated the San Diego Square senior housing high-rise in downtown San Diego, a 2-year project recently completed. It was built in 1979 and hadn’t been renovated since. Actually, it wasn’t the SDHC per se that bought and renovated San Diego Square; it was Housing Development Partners. Created in 1990, Housing Development Partners (HDP) is a nonprofit affiliate of the San Diego Housing Commission (SDHC). HDP develops and preserves affordable housing for low-income San Diegans through the rehabilitation of existing buildings and new construction. If you’re confused as to why the SDHC needs an affiliate to develop and preserve affordable housing in San Diego, join the club. It’s just another level of bureaucracy with more people on board collecting lucrative salaries even if it’s a non-profit. The San Diego Square website says “HDP acquired San Diego Square to preserve the 156-unit, downtown senior housing development as affordable housing for 55 years.” Why 55 years? If the City owns it, why does it revert to market rates in 55 years? Hmmm. Too many fingers in the pie! And someone (or ones) is profiting or will profit by the reversion to market rate housing. Why are some units owned outright by SDHC and some are owned by a “non-profit affiliate” – HDP? In any case, this one project does not solve the problem. There’s a 7 to 10-year wait list for subsidized housing in the city. 60,000 people are on that wait list. Roughly half are elderly or disabled. Good luck getting in. According to KPBS, the SDHC said they’ll need several projects like Square to solve the housing problem. Well, what are they waiting for? Let’s get to it! Or is it more about the several layers of management, all of whom are being paid well so they’re in no rush? 1) 14th & Imperial: The 14th & Imperial project is the first project funded as a part of HOUSING FIRST – SAN DIEGO, a three-year homelessness action plan to create permanent supportive housing with supportive services. This project will increase permanent supportive housing inventory in the Downtown area by creating 62 new studio units with services for the tenants. The development was successful in receiving an allocation of competitive 9 percent tax credits and will break ground in December. Construction completion is estimated for December 2016. 2) Atmosphere I: This project is part one of a two-part project increasing affordable housing units in the Downtown area by 202 units. The 100-unit Atmosphere I project will include 51 studio and one-bedroom units set aside for homeless individuals or individuals at risk of becoming homeless. The remaining studio, one-, two-, and three-bedroom units will be set aside for low-income individuals and families earning up to 60 percent of AMI. The combined projects are estimated to be completed in December 2016. 3) Hotel Churchill: The renovation of the Hotel Churchill to create 72 permanent supportive housing units for homeless San Diegans is one of the five key components of HOUSING FIRST – SAN DIEGO, the Housing Commission’s three-year Homelessness Action Plan. When completed this project will set aside 56 units for homeless veterans, eight units for youth aging out of the foster-care system, and eight units for adults exiting the corrections system who will also need supportive services. Construction completion is estimated for May 2016. 4) Mission Gorge Apartments: The Mission Gorge Apartments project is planned as an affordable housing complex for families in the Navajo community. Rents for nine units will be restricted at 50 percent AMI with the remaining 80 units at 60 percent AMI. This project will expand affordable housing opportunities north of Interstate 8, providing a mix of studio, one bedroom, two bedroom, and three-bedroom units. Construction is estimated to start in March 2016. 5) Talmadge Gateway: Talmadge Gateway is the second project recommended for funding as a part of HOUSING FIRST – SAN DIEGO. This project applied for competitive 9 percent tax credits. If tax credits are awarded this September, this project will create 59 new permanent supportive housing units for homeless San Diegans restricted to individuals earning up to 50 percent of AMI. 6) Trolley Residential: The new Trolley Residential development is a transit-oriented development in the Encanto area that will increase affordable housing inventory for families with incomes between 30 – 60 percent of AMI. This development includes the construction of 51 new affordable one-, two-, and three- bedroom affordable apartment units. Construction completion is estimated for July 2016. 7) Paseo at COMM22 (2225 Commercial St): Construction completed at Paseo at COMM 22 on December 31, 2014. This new 130-unit family development in Logan Heights, increased affordable housing inventory with 13 housing units restricted to families earning up to 30 percent of AMI, 16 units restricted to families earning up to 40 percent of AMI, 71 units restricted to families earning up to 50 percent of AMI, and 28 units restricted to families earning up to 60 percent of AMI. 8) Victoria at COMM22: Construction completed at Victoria at COMM 22 on January 8,2015. This new 70-unit senior development increased affordable housing inventory for seniors earning 30 – 50 percent of AMI. These studio, one bedroom, and two bedroom apartments are a part of the transit-oriented master-planned community in Logan Heights. 9) Mesa Commons: Construction is complete at this new development in the College area, consisting of 77 affordable housing units. These one-, two-, and three-bedroom units are comprised of eight housing units restricted to families earning up to 30 percent of AMI, 16 units restricted to families earning up to 40 percent of AMI, 16 units restricted to families earning up to 50 percent of AMI, and 37 units restricted to families earning up to 60 percent of AMI. 10) Veterans Village Phase 5: The Veterans Village Campus will be complete when this final phase finishes construction. Phase 5 work is underway, with the demolition of an existing building completed and construction of a two-story building with nine units (18 transitional housing beds) wrapping up. The second floor of this development is designed specifically to house female veterans returning from Iraq and Afghanistan. Construction was completed in August 2015. 11) Independence Pointe (formerly known as Willie James Jones Apartments): This development is the first of its kind in San Diego. Independence Point is a special-needs affordable housing development, with 31 three- and four-bedroom units. Twenty-five of the units will be set aside for households that include a member who has a developmental disability. Rents for all units will be restricted to between 30 – 60 percent AMI. Construction is underway and estimated to be completed in October 2015. The SDHC’s mandate calls for dispersing affordable housing all over the City. So far, it’s pretty concentrated in just a few areas. There is nothing in Imperial Beach, which is outside of the City of San Diego and where there are a lot of homeless families as reported in Part 2 of this series. So SDHC needs to own, buy or build a whole lot more units. They have the money. It’s there being hoarded in various accounts that Katheryn Rhodes has pointed out in this multi-part article. They need an organization similar to the CCDC, the Center City Development Corporation, which was all about facilitating building high rise condos for rich people at market rates in downtown. There also needs to be a San Diego Building Commission (SDBC), which would be in the business of actually letting contracts to construction companies to build affordable housing, subsidized housing and Housing First housing for homeless. They needn’t amalgamate parcels for developers like the CCDC did. They have parcels already or parcels can be acquired. It doesn’t necessitate high-rise construction. Follow the KISS principle: Keep It Simple Stupid. Money + Land + Contractor = Housing. The Successor Agency (SA) to the Center City Development Corporation (CCDC) is the City of San Diego, which in turn contracts with Civic San Diego. Katheryn Rhodes states that Civic San Diego has documented and available $66,907,786 in unencumbered Bonds, and $21,727,112 in other Cash Reserve accounts for the upcoming end of ROPS-9 on June 30, 2016. The Successor Agency cash can be used for any Infrastructure or Capital Improvement Projects (CIP) including Affordable Housing with the approval of the City Council. OK, there’s cash available. There’s collateral that can be leveraged. But all the City of San Diego seems to care about is a freakin’ new football stadium. Why don’t you guys on various commissions and agencies get your heads screwed on right and your priorities adjusted? You want a world class city? Start by getting the homeless off the streets and into decent housing. 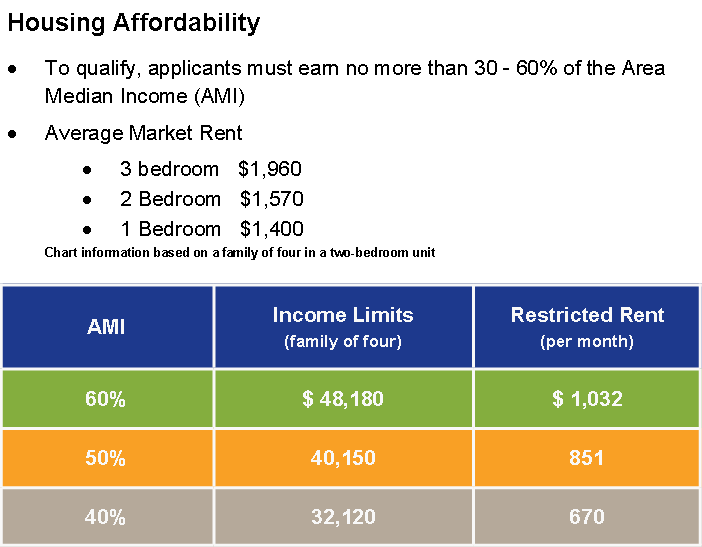 So why is the City not using these resources to build housing that people can afford when their own San Diego Housing Commission (SDHC) report paints a dire picture of how a family needs an income of $70,000 plus just to afford a two bedroom apartment? Are they waiting for a developer to volunteer? Developers are making more money building market rate houses and condos. Are they waiting for HUD to increase funding for Section 8 housing? It’ll never happen as long as Republicans control Congress. So the City needs to take the bull by the horns and build affordable housing directly serving the most vulnerable, the homeless, first, and it needs to be distributed equitably around the City, not just concentrated in a few areas. Instead of a San Diego Housing Commission, we need a San Diego Building Commission which lets the contracts out to contractors and construction companies to build on City-owned land sans developer. The developer middle man can be cut out thus saving money. Just get the expertise on board. All they have to do is say to the contractor, “Here are the plans. Now go build it.” There must be plans already available on the internet. No Huffman “6-Packs” please! SANDAG estimates that San Diego will need 161,980 new units of housing to be produced from 2010 through 2020 based on population growth, job growth, and other economic data. As of the end of 2013, only 17% of the estimated need was permitted for production. Notice of Funding Availability – HOME Investment Partnerships (HOME) Program and Project-Based Vouchers. The Department of Housing and Community Development (HCD) and the Housing Authority of the County of San Diego (HACSD) are announcing the funding availability of approximately $2.7 million through the U.S. Department of Housing and Urban Development (HUD) HOME Investment Partnerships (HOME) program for affordable housing construction, acquisition and rehabilitation and/or up to 190 Project Based Vouchers (PBV). Application submittals must be complete and in compliance with all of the specified application requirements set forth in the NOFA solicitation documents. Download application. For more information, please visit our website or contact Kelly Salmons at Kelly.salmons@sdcounty.ca.gov, or 858-694-4806. As a final note, I (John) was elected to the Centre City Advisory Committee (CCAC) circa 2003 from the Cortez Hill neighborhood. The purpose of the CCAC was to advise the CCDC. Yeah, fat chance of that, right? Our more likely mission was to ratify the CCDC. One thing that sticks out in my mind is that the CCDC gave a contract worth about $100,000 to someone to produce a 10-year plan to end homelessness in San Diego. What a boondoggle that turned out to be! They should have asked for their money back because it’s been more than 10 years and there are more homeless than ever. Previous installments here: Part 1: Introduction, Part 2: Homeless Population Undercounted and Part 3: The City Needs to Build and Own More Affordable Units.